The Haryana govt. apparently accepted Vadra's name as proof of firm's financial stability to allow commercial development of land in Gurgaon. The land deals of Robert Vadra, son-in-law of Congress President Sonia Gandhi, have long been under the scanner. His dealings in Haryana were questioned when the Comptroller and Auditor General (CAG) released a report on Haryana’s town and country planning department in March 2015. 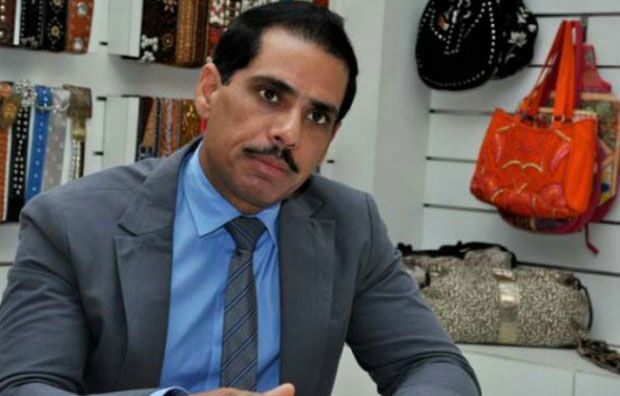 The CAG said it was unclear why a “distinction” was made for Robert Vadra’s company, Skylight Hospitality, by the Haryana government when permission was granted to commercially develop a prime plot of land in Gurgaon’s sector 83, which the company later sold at a huge profit. The state government’s documents pertaining to the case, reviewed by Business Standard, showed officials played up Robert Vadra’s name and status on state government records, as they created exceptions and interpreted rules to favour the company. These moves were personally approved by then Haryana chief minister and Congress leader Bhupinder Singh Hooda. These decisions ultimately resulted in a commercial licence being granted to Vadra’s company. With the commercial licence in its pocket, Vadra’s company was able to sell its interest in the land to DLF at more than 700 per cent of the price at which it had acquired it, says the CAG. The property was of Onkareshwar Properties, whose directors had links with Hooda. Replying to queries, Vadra’s lawyers sent a detailed reply, denying any wrongdoing, in which, besides others they aver, they said all allegations were “part of a larger plan to malign our clients”. They also said their clients “sought no favour from the previous Congress government or any authority. Our clients did not violate any law, rules, regulations and policy. No discretion or favour was exercised by any person or authority in favour of our clients”. The financial and technical capacity of the company was one of the criteria for which the state government’s town and country planning department assessed the applications to grant the licence. As a first step towards granting it, if the state government agrees in principle to the proposal, it gives the company a letter of intent (LoI). After other formalities are completed and other conditions met, it gives a formal licence to develop a plot. As the file moved from desk to desk at the town and country planning department, Vadra’s credentials were repeated. 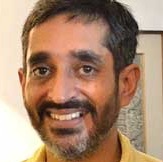 An officer, while referring to Skylight’s financial capacity on government records, said, “The financial capacity considering the status of the director of the applicant company can be considered.” In another innocuous part of his notes, he said the application for commercial development of the plot had been submitted, along with a resolution “duly signed by Robert Vadra, the major shareholder and director of the applicant company”. The CAG report of 2015, however, says this was an exception. Of the 14 claimants for licences in Gurgaon’s sector 83, only in one case was the name of the director mentioned as the sole credential of the company, the CAG said. In other cases, the financial capability of the applicant, shown through the balance sheets or the turnover of the promoters, or an assurance from one of their associates, was used as a criterion. The CAG report says the process was “ad hoc”. In their reply to Business Standard, they contended the government rules for commercial licensing “do not have a concept of letter of intent. The letter does not signify either acceptance by the government or agreement by the government for grant of licence in any manner whatsoever. It is merely a letter from the government, asking the applicant to fulfil statutory conditions”. But documents reviewed by Business Standard show the approval of the chief minister on March 21, 2008, and, subsequently, officials telling their juniors, “Please put up LoI today only,” on March 25, 2008. In all such cases, the state government first gave an LoI after assessing the proposals and, once a company met the conditions, a formal licence was granted. The discretion shown towards Vadra’s company wasn’t limited to assessing Skylight Hospitality’s financial capacities alone. The CAG documented these discretionary favours. But Vadra’s lawyers have contested these conclusions and said the then Congress state government did not bring all the evidence on record. The documents reviewed by Business Standard show how the CAG reached its conclusions. The original application of Onkareshwar Properties was at the bottom (12th out of a total of 12). Officials noted the project site did not have an approach road and the licence could be granted for only 2.18 acres if the government was to ensure the 50 per cent level wasn’t breached. They added the only way the company could get a licence to develop the entire 2.701 acres was if one of the applicants above it on the list was first rejected. The file now read, “The technical staff has examined the matter (sic) technical point of view and found that the case comes within the permissible area of 50 per cent of total sector area and the case is considered for grant of licence, from a technical point of view as well as administratively.” The problem with lack of an approach road to the plot remained a hurdle to approving the commercial licence. The officials noted they had considered a proposal from the company to overcome this shortcoming, too, but said “there are no precedents according to the arrangement proposed”. The company had proposed it would build a 24-metre-wide internal road passing through its site at its own cost and transfer it free of cost to the government. For the moment, it would seek access from another adjoining plotted colony. An officer, while noting the proposal was unprecedented, pushed the file higher in the bureaucratic ladder, saying “decision in this regard maybe taken”. Vadra’s lawyers contend this was established practice and there were no contravention of laws, rules or policy. In its files, the state government recorded that the 24-metre-wide road within Skylight’s plot would take away 1.35 acres from the overall plot. In its report, the CAG said this would leave only 1.35 acres to commercialise, which was less than the minimum requirement of two acres, according to rules. The CAG said there was lack of clarity in state government rules about how the two acres limit was to be calculated. While officials assessed the case, this issue wasn’t discussed in the state government’s records. While the CAG says this was a distinction made for Skylight, Vadra’s lawyers argue the CAG misinterpreted regulations and erred in coming to such a conclusion. On March 28, 2008, Vadra’s company got an LoI from the Haryana government. With this letter in its bag, in August 2008, Vadra’s company signed a ‘collaboration agreement’ with DLF on Rs 100 stamp paper. The agreement document has been reviewed by Business Standard. Vadra’s company was to provide the land and the LoI, while DLF would develop the land with its own money. In return, DLF promised Vadra half the total super area of the developed plot. But Skylight Hospitality eventually did get the licence, on November 18. Vadra’s lawyers say the licence was secured because of the collaboration agreement with DLF, which was predicated on Skylight having secured the LoI to begin with. In April 2012, the licence was transferred to DLF and, in September 2012, Skylight sold its interest in the project to DLF. In the process, the CAG concludes, it made a profit of 700 per cent. With inputs from N. Sundaresha Subramanian.